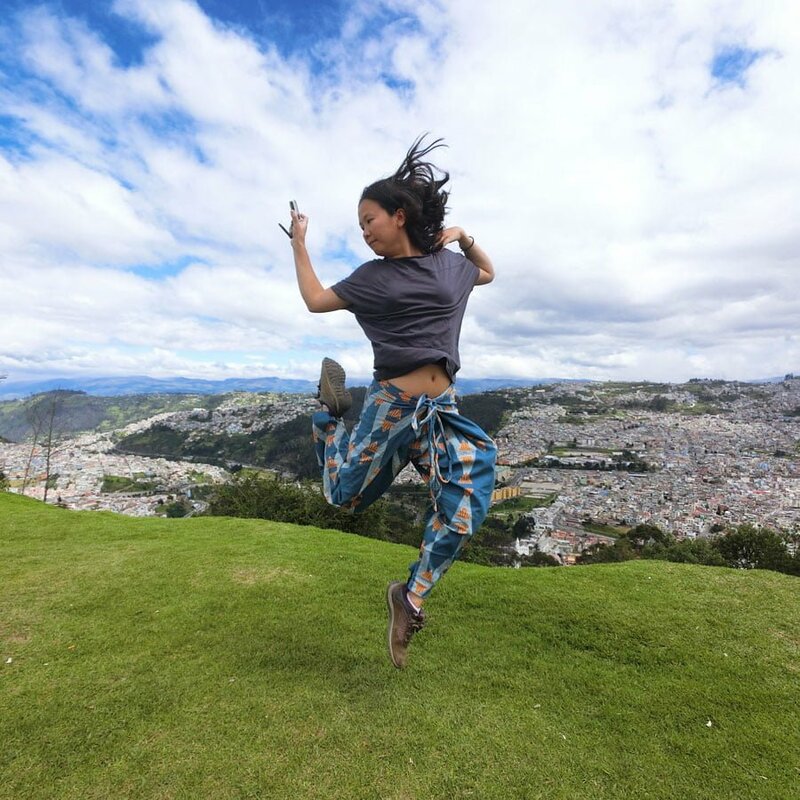 MATTER – Pants to see the world in! You learn a couple of things when you start travelling for a longer period of time, and picking the right clothes is an essential skill. I love dresses for their ease and comfort, but the best attire for travel and transit days is still a pair of long pants – it covers your legs from weather, insects and whatever is on that grimy seat, and you can fold and cross your legs comfortably. I’ve since added pants back into my travel wardrobe, but the tricky thing with pants is finding something that’s both multipurpose and not look too ‘backpackery’. ‘Backpackery’ isn’t a bad thing – what I call ‘backpacker pants’ are usually super comfortable and functional pants that are practically a uniform in hostels, but they do tend to make you look kinda sloppy and like you’re perpetually living out of a backpack (which may be true, but do you need to look that way?). Now that I’m a little older, sometimes I do want to look a little more presentable even when I’m having slouchy travel days, so to help me out, the folks at MATTER sent me some really spiffy pants late last year which have travelled with me on some of my career break. Hot tip: The most travel friendly cut to go for would be the Classic Wideleg with its easy cut and pockets, especially when you have to deal with dubious public toilets, but I really wanted something with a little more oomph so I picked the Lounge Lunghi which lets you wear it in 2 different ways. It’s also pretty easy to dress up or dress down – pair it with a simple top and you have a great outfit that’s both eye-catching and most importantly, comfortable. 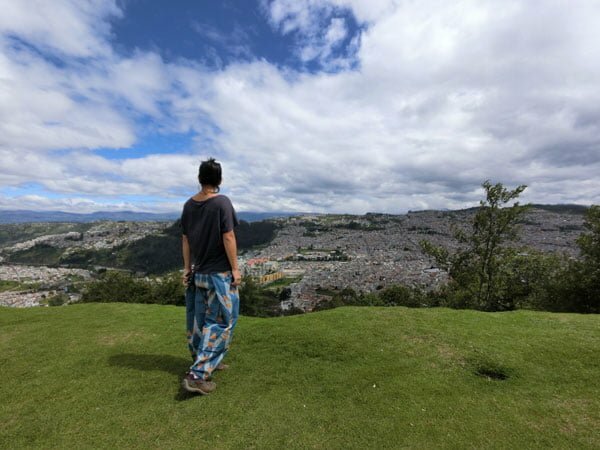 This pair of pants is good enough for museum visiting, sightseeing and even tough enough for some amateur sand-boarding and salsa dancing, so good for most travel itineraries! 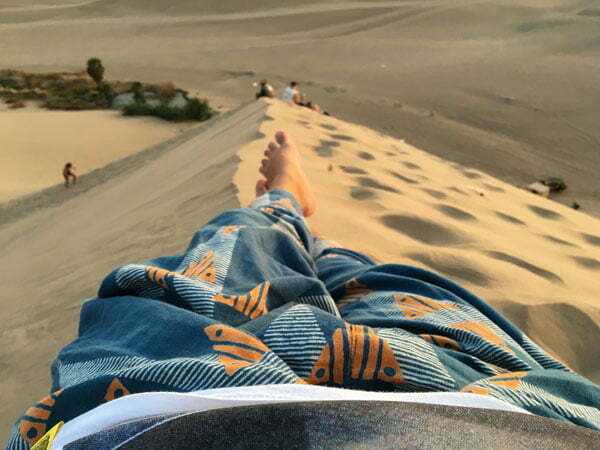 The cotton material is pretty good – cool enough even in hot desert climates like Peru’s Huacachina sand dunes and tough enough to withstand me stomping around amidst the fine, fine sand! These are definitely not your cheap pants from the local market which you’re not quite sure will survive the washing machine, and the price does reflect that. 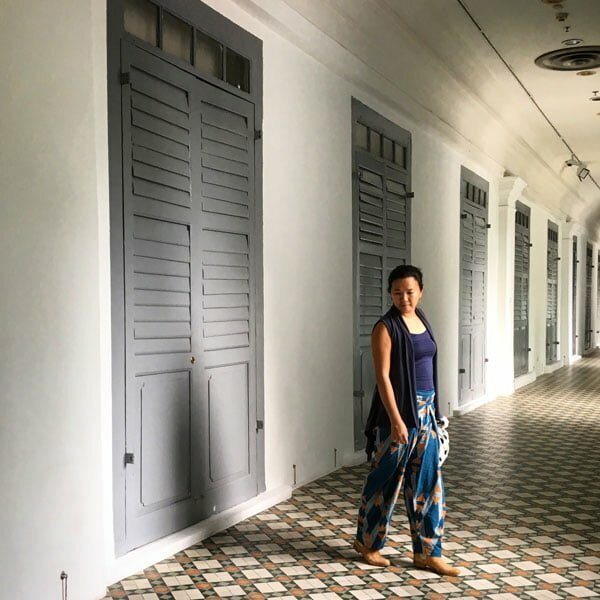 But if you are the sort who prefers quality over quantity and investing in good clothing and something unique that you aren’t going to see a thousand other travellers wearing as you wander those foreign streets, these are worth considering. I can see myself going back to work in these, dressing them up with a pair of heels and a nice top – that’s what you call multipurpose clothing! Dress up these pants with boots and a vest for a museum day out! I also appreciate the strong social and eco-friendly efforts of the brand – from using scrap pieces to create a children’s line and accessories, to a commitment to sustainable production and ethical work conditions in making the clothes, call me a hipster if you want but I appreciate and support companies that make the effort to go beyond cheapest and fastest, and I think we could do with more companies who practice what they preach. The MATTER team did a little interview with me – read more about it here (coming soon!). Check out their website at matterprints.com for their online shop and all the stories about the work that goes into making these pants.